Executive Gift Shoppe offers business card holders, desk clocks, flasks, and other business gifts to fit any need. 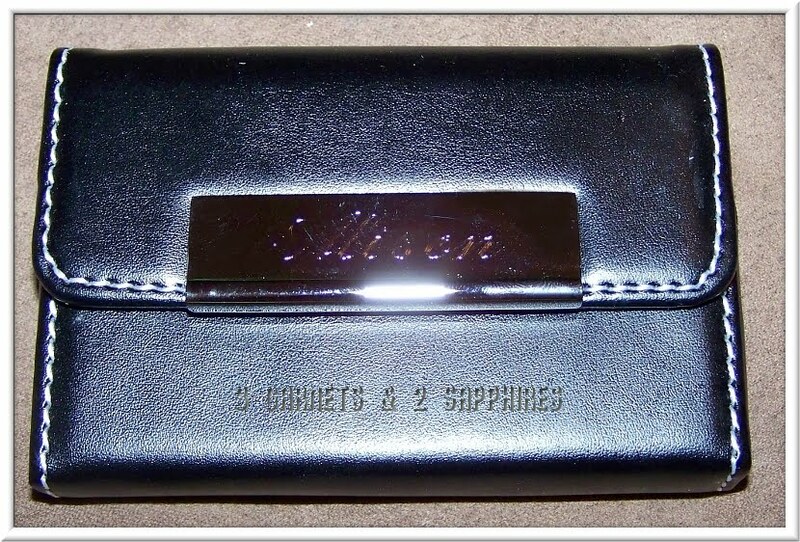 We were sent the Black Leatherette & Stainless Steel Business Card Holder to review, which I gifted to a friend to congratulate her for starting her business. This business card holder is attractive and its design is both functional and unique, sure to impress any business professional out there. The cover is black faux leather with white stitching and it features a stainless steel plate, which Executive Gift Shoppe engraves for free. 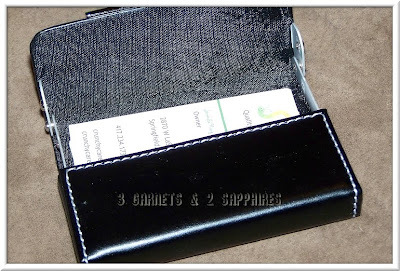 It’s the perfect size to hold a standard-sized business card, and it holds up to 35 cards. It also has a stainless steel inner “liner” that retracts upon opening to make it easier to remove the cards. This is, by far, the nicest business card holder I’ve ever seen. It is thick, durable, beautiful, and professional. I was not expecting something so nice when I opened the box and was pleasantly surprised. I picked this for a friend, and regret that I didn’t get it for myself. She hasn’t seen it yet, but I know she’ll be happy with it when she does. 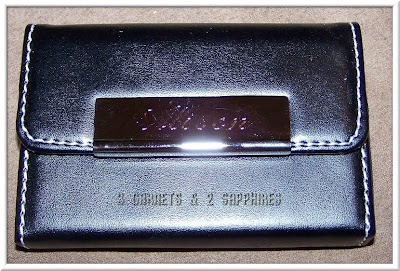 You can find this and many other great personalized gifts online at www.executivegiftshoppe.com. This particular business card holder is currently on sale for just $17.10. You will also receive Free Ground Shipping on all orders over $75. Thank you to Executive Gift Shoppe for sending us a complimentary product sample to base this review upon and for providing a gift certificate for our contest prize. One lucky reader will receive a $25 Gift Certificate to Executive Gift Shoppe. Browse the selection of gifts offered by Executive Gift Shoppe. Then leave a comment telling me the name of one item you might buy if you won this contest. You MUST do this to be eligible to win this contest. 3) For 10 extra entries, sign up to receive the Executive Gift Shoppe email newsletter (left sidebar). Then come back here and leave TEN separate comments telling me you did. 5) For 1 extra entry each, follow Executive Gift Shoppe on Twitter and/or "Like" Executive Gift Shoppe on Facebook. Then leave a separate comment for each with the link to your Twitter or Facebook profile.